I have spent much of my academic career in a medical-school environment, and that experience has left me with a deep appreciation for the enormous contributions modern pharmaceuticals have made to human health and wellbeing. Since coming to MIT, I have made it one of my personal priorities to accelerate our institution's work at the convergence of the life sciences and engineering, and to further strengthen our already close relationships with our region's outstanding academic medical centers. Today I would like to talk about how ideas, insights, and discoveries at the bench make it to the marketplace and the bedside. Within our lifetimes, this process has accelerated in speed and grown in scale. Indeed, a strong claim can be made that drug research has contributed more to the progress of medicine during the past century than any other scientific factor. We now possess drug therapies previous generations could only dream about, with the promise of even more effective, customized treatments ahead. But we cannot afford to be complacent about the future. We might find comfort in assuming that a system that has already produced such stunning results will keep on working. Traveling the distance from bench to bedside, however, presents numerous difficulties when things operate at their best – and I worry that current trends will make it even more difficult. I often struggle to explain to non-scientists the complexity of this "bench-to-bedside" process, and sometimes I fall back on the metaphor of a translation. The metaphor is not perfect, because we are not trying to recreate one object in terms of another. Instead, we collaborate along a whole value chain in the creation of something new. Yet, for now, I have to hope in the utility of the metaphor of translation. While never easy, the difficulties of a great translation are generally under-appreciated. In the very finest literary translations, you can almost imagine that you are reading the text in its original language. But behind that appearance of ease lies an enormous amount of hard work. And the same holds true in the translation from lab bench to bedside. The patient whose therapy depends on an innovative drug rarely knows the complicated path that miracle drug took from the lab bench to the marketplace. For example, consider how long it took to bring to market the first FDA-approved cancer drugs that targeted a specific molecule – such as Gleevec and Herceptin, the development of both of which drew on basic research undertaken at MIT. Professor Robert Weinberg's lab first identified the gene now known as her-2 in 1979, but it was not until 1998 that the FDA approved Herceptin for use as a treatment for her-2 positive metastatic breast cancer. Similarly, Gleevec was not approved until almost twenty years after Dr. David Baltimore and his colleagues began working on the role of the abl gene in abnormal cell growth. But while the process of transforming knowledge into treatments is not easy, the accomplishments of the last few decades have been nothing short of remarkable. Our recent achievements have depended on a basic route that is now widely understood and widely followed. Its starting-point is the university, where the NIH has funded the preponderance of fundamental research in the life sciences. Through federal research support, the academy undertakes the basic work of discovery and generates new intellectual property. The next step moves the innovation to industry, through technology transfer. Many new pharmaceuticals and medical devices move from the university to small start-up companies. Biotech startups funded by venture capital have played a particularly important role in advancing the discovery to product transformation at this crucial stage. A drug like Gleevec – developed and brought successfully to market under the auspices of a major pharmaceutical company, without transit through a small start-up company – represents something of an exception. These startups have not only translated basic inventions into drug development; they have also created jobs and stimulated economic development in Massachusetts and in other significant centers of innovation. In a typical scenario, the biotech company forms an alliance with an established pharmaceutical company for clinical trials, and the pharmaceutical company eventually brings the new drug to market. To draw out the "moral" of the story: Major pharmaceutical companies increasingly depend on work by others earlier along the path. They do not generally invent technologies themselves but, instead, adopt or refine them. And, the path begins with the invention of new technologies in universities and academic research laboratories, and moves through start-up companies. This pathway has led to tremendous advances. Clinical trials are currently underway for more than 300 new drug products and vaccines based on NIH-funded research, targeting more than 200 different diseases. Today, however, almost everyone I talk to – in the university and in drug development – seems to agree that the system moves much too slowly and inefficiently. We can point to a number of roadblocks. First, the level of federal research funding is absolutely critical. Both long-term and short-term trends are very troubling. To take the long term first: As a percentage of gross domestic product, federal R&D spending – the crucial source of funding for basic research in science – has fallen by more than half over the last four decades, from 1.9 percent of GDP in 1964 to 0.8 percent in the most recent NSF figures. For a time, research in the life sciences seemed to be an exception to this general trend, with the NIH budget doubling between 1999 and 2003. Those days are over. While the Congressional appropriations process is still underway, in FY07 the NIH budget will likely decline in real terms for the third year in a row. At the same time, the pharmaceutical industry appears increasingly reluctant to invest in fundamental technology. I hear this from all sides. This, of course, foists even more of the heavy lifting in the early part of the process onto the shoulders of the smaller, earlier-stage players – at a time when they already feel squeezed. It is not only federal funding for university research that has declined. Venture capitalists, skittish since the "dot bomb," are increasingly reluctant to invest in, what some call, "university-stage" innovation. While it's true that a record-breaking number of biotech companies received funding in the second quarter of this year, it is also true that a larger percentage of venture capital funding than ever is going to later-stage companies – 43 percent in 2005, compared with only 15 percent in 1995. As a result of all these changes, the crucial intersections along the path, which have always proved difficult to navigate, have become even more treacherous. At the same time, all of us must grapple with the effects of powerful social trends that make it harder to recruit, train and retain the workforce we need to keep moving forward. We face the very real risk of losing our national preeminence in science-based industry and entrepreneurship. This is not just about producing more Ph.D.'s in science and engineering, about which we hear endlessly, and which is a very real source of concern. It is also very much about our real need for educated specialists in myriad technical positions at all stages of the drug development process – people without advanced degrees, but who have a basic understanding of, and comfort with, mathematics and science. The problems start in primary and secondary education, where our students' performance in mathematics and science lags that of our competitor nations. And too few of our high school graduates go on to study science, technology, engineering and math in college, or to pursue advanced degrees. The pipeline leaks at every stage, and it is especially leaky for women and members of historically underrepresented groups. It is tremendously important that we educate – and inspire – the next generation of scientists, engineers and entrepreneurs, who will fuel a new generation of breakthrough therapies. The current situation has worrying ramifications for all of us here today. Those of you in major pharmaceutical companies wonder where the next innovation will come from. Those of you in biotechnology wonder where the next round of financing will come from. And those of us in the universities wonder where we will find the funding to continue to make breakthrough discoveries at the bench, and how we will accelerate their transfer to the bedside. There are also real implications for American economic competitiveness. Pharmaceuticals and biotechnology have been engines of economic growth. But we must continuously reinvest at the beginning of the value chain – in basic research – to retain our lead in research and development, especially since many countries have identified healthcare and biotechnology as targets for concentrated national investment. Of course, the most important reason that we have to map the most direct path and eliminate roadblocks is because of the individuals whose lives hang in the balance. We risk delaying therapeutic advances that will have enormous positive benefits for humankind. And, of course, there is the real worry that promising new therapies simply might not make it from one stage to the next. As Professor Tyler Jacks, the director of MIT's Center for Cancer Research, puts it, "The only cure for cancer is research." And the opportunities for advances against cancer and other diseases have never been greater, thanks to the ongoing convergence of the life sciences, engineering and information technology. The mapping of the human genome is perhaps the most dramatic example to date, but it is only a starting point. As NIH director Elias Zerhouni has put it, we can now envision making medicine "predictive, personalized, and preemptive." Fortunately, we have new tools that promise to shorten dramatically the time it takes to move along the path from bench to bedside. One aspect of information technology that opens up particularly compelling possibilities is the semantic web. The World Wide Web Consortium, W3C, based at MIT, brings together stakeholders in the life sciences and healthcare to enable greater transparency and integration of data using semantic web technologies. Today, boundaries that inhibit data sharing limit innovation in research and clinical settings alike, and impede the efficient delivery of care. Semantic web technologies give us a chance to solve this problem, resulting, ultimately, in faster drug targeting, more accurate reporting, and better patient outcomes. The creative use of information technology is just one avenue to shortening the time we spend on the path from bench to bedside. There are some other positive signs on the horizon as well. My colleagues in the field tell me that the pendulum is beginning to swing back a bit to earlier-stage investing by both pharmaceutical companies and venture capital. Even with these important and promising new directions, we still have some significant breaks in the pathway. One serious impediment is in crossing what is often called "the gap." The gap is that bit of the path between a promising discovery in a university laboratory and its development into a result sufficiently persuasive to move it into the business cycle. One feature of "the gap" is the lack of funding to bring inventions from where university research ends to where investors and companies are willing to invest. Drug development is a complex, systems problem, so I cannot offer a single, global solution. But I would like to suggest some of the elements that I believe can make a real difference going forward. There is plenty of work for all of us to do to speed our travel along the path of drug discovery. Let me begin with some of the problems that universities themselves must address. First, we must continue to advance creative, cross-disciplinary work, and to forge new collaborative models. These are non-trivial tasks because many incentives align in absolutely the wrong direction. Let me give a few examples. In many cases, it's more straightforward to secure funding for a single investigator project than for a complex, multi-investigator program. Our institutional structures of departments, schools and universities provide essential academic homes that facilitate faculty hiring and the education of students. But many of the newest ideas arise at the intersection of the disciplines that are delimited by classical departments, and the payoffs for overcoming traditional boundaries between academic disciplines can be enormous, for research and for education. Collaboration between departments and schools is built into the very architecture of MIT: When the Institute moved from Boston to Cambridge in 1916, we constructed our new "main group" as a single, interconnected building. So it is not surprising that our research labs and centers bring together faculty research groups from different departments. Consider, for example, our new initiative in Computational and Systems Biology. CSBi, as it is known, is a campus-wide education and research program that links biologists, computer scientists, and engineers in a multi-disciplinary approach to the systematic analysis of complex biological phenomena. CSBi places equal emphasis on computational and experimental methods and on molecular and systems views of biological function. It brings together faculty from more than ten academic units across our Schools of Science and Engineering, the MIT Sloan School of Management, and the Whitehead Institute for Biomedical Research. New interdisciplinary opportunities have transformed the pattern of research in areas that used to be the province of a single department. MIT's Center for Cancer Research provides a clear example of this process. For many years after its establishment in 1974, with Nobel Laureate Salvador Luria as its founding director, the Cancer Center faculty included only biologists. Now, in addition to some of the world's foremost biologists, the Center's members also include faculty from Biological Engineering, Chemical Engineering, and Chemistry. All of them apply the tools of basic science and technology to understand how cancer develops, progresses, and responds to therapy. Second, if we are to take full advantage of current opportunities, we will also have to break down the traditional barriers to collaboration between institutions. Along these lines, to advance the promise of genomics for medicine, MIT partnered with Harvard University, its affiliated hospitals, and the Whitehead Institute in establishing the Eli and Edythe L. Broad Institute. In the two years since it was established, with Professor Eric Lander as director, the Broad has already generated a truly remarkable record of achievement, including sequencing the dog genome, producing the haplotype map, organizing a consortium to develop an extensive RNAi library and providing new insights into primate evolution. More recently, MIT and the Broad Institute have joined with Boston's major academic medical centers to establish a new regional research and clinical collaboration to advance the understanding and treatment of autism. The Consortium partners have created an interdisciplinary and inter-institutional model of collaboration that will support common research protocols, will leverage and maximize full utilization of core facilities, will establish research and clinical priorities to improve care and will enroll more families and patients into research projects. This is a tremendously exciting project, with extraordinary promise for making real progress on this debilitating condition. I also hope that it will stimulate more collaborative ventures across this region's great institutions. A third area of university focus is our interactions with industry. An important part of that work is to monitor our own technology transfer policies and processes, to ensure that we remain relevant and connected. Ideally, the university's tech-transfer expertise should add value to the process, speeding it up rather than slowing it down. At MIT, we take this responsibility very seriously. Last year MIT received 133 new U.S. patents, our Technology Licensing Office completed 102 new technology licenses, and MIT intellectual property led to the establishment of 20 new companies. 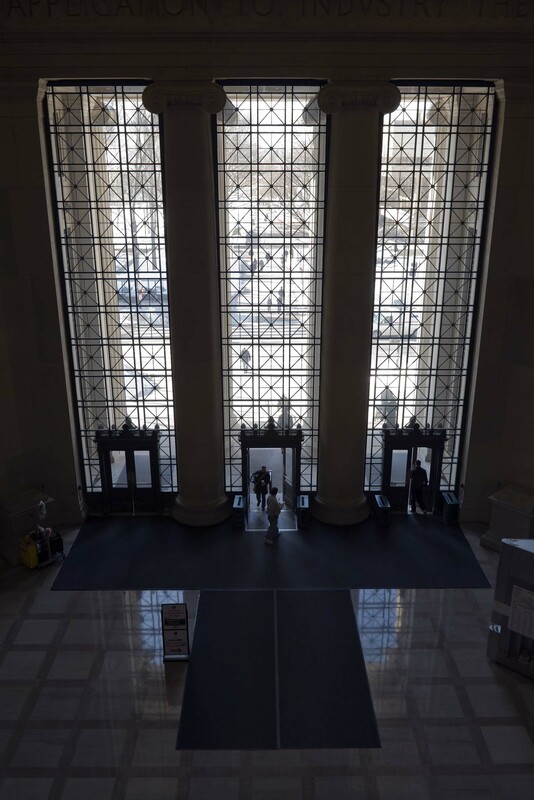 In fact, according to the U.S. Patent and Trademark Office, MIT ranked second in the country in patent activity among American universities last year – behind only the ten-campus University of California system. Universities can also bring their expertise in management, economics, and policy to bear on these critical issues. MIT's Center for Biomedical Innovation, for example, works to develop ways to move advances in the life sciences from bench to bedside more efficiently and safely. Jointly organized by our Schools of Engineering, Management, and Science, and the Harvard-MIT Division of Health Sciences and Technology, the Center brings together representatives from industry, government, and the academy in a "safe harbor" setting to facilitate cross-institutional and cross-disciplinary dialogue. Dr. Frank Douglas, who directs the Center's work, joined MIT after retiring as Executive Vice President and Chief Scientific Officer of Aventis. Universities can also help link people starting out along the innovation pathway with mentors. MIT's Venture Mentoring Service, for example, supports innovation and entrepreneurial activity throughout our university community by matching prospective entrepreneurs with volunteer mentors from the corporate, entrepreneurial, and academic communities who can boost the probability of a start-up's success. The VMS focuses on offering practical help and advice; its volunteers are recruited for their expertise in business formation and funding, strategic planning, management, and technical fields, for their skills as advisors, and for their commitment to supporting entrepreneurship at MIT. Finally, universities can also develop new funding mechanisms to help close the gap between university research and a viable business plan. MIT's former $50k competition—now the $100k competition—has brought ideas and inventions into life as business plans for over 15 years. The first such competition in the country, it has now been copied around the country and around the world. More recently, the Deshpande Center for Technological Innovation has provided another pioneering model. The Deshpande Center nurtures marketable inventions by funding, through ignition grants, early stage research that has promising marketable potential. The Center also catalyzes collaborations among MIT researchers, partner companies, and entrepreneurs. Ultimately, however, even the most innovative university programs are unlikely to have the funding and scale necessary to bridge the "gap" in drug discovery. The suggestion is sometimes made that universities themselves should invest in the early stages of product and drug development. But this has yet to prove effective – and we need to ensure that universities continue to focus on what we alone can do, in the generation of new knowledge and ideas. The collaboration of the public sector is also critical. Government absolutely must see this as a crucial policy issue for both public health and economic growth. I have already touched on the worrying trends in the research funding that supports breakthrough research. But that is not the only policy question that will affect the health of our drug discovery enterprise. As I mentioned earlier, we need to strengthen K-12 education. We need to provide scholarships and fellowships that will encourage students to study science and engineering in college and to pursue graduate work in them. And we need policies that acknowledge the vital role international students, scholars, and workers play in our knowledge industries. These major policy issues carry critically important implications for our national economic development. I have suggested some of the work the academy and the public sector need to do. Now I would like to make one suggestion to those of you in industry, which I hope you will take in the true spirit of collaboration. While mindsets within the pharmaceutical business are not uniform, it is often said that industry itself does not sufficiently appreciate or draw on university-based research. Pharmaceutical industry research and development are sophisticated and productive, benefiting from billion-dollar budgets and the contributions of thousands of talented scientists and engineers. But their mission – your mission – is to develop new, life-changing products, not to work at the true frontiers of knowledge. That role belongs, increasingly, to the university. It was university research, after all, that made possible combinatorial chemistry and high-throughput screening, which between them have revolutionized drug discovery. The roots of combinatorial chemistry go back to Bruce Merrifield's work on the solid-phase synthesis of peptides at Rockefeller University in the early 1960s. And it was UCSD's Roger Tsien who developed the fluorescent markers that have made high-throughput screening possible. I can't predict what the next truly transformational development in drug discovery will be. But I am almost certain that it will depend on university research. You will, no doubt, know where this argument leads. It leads to federal investments, and to your role in supporting them. I believe that increases in federal support for basic research and stronger education in mathematics, science, and engineering are very much in the best interests of the pharmaceutical and biotechnology industries. We have learned, from our experience with a host of issues related to economic competitiveness, that industry support can have a tremendous impact in public debates over funding and policy. High-tech companies are now a welcome presence in Washington, lending their support for increased federal funding for basic research in the physical sciences. These companies recognize that the future of their industry depends on the education of young people and on the breakthrough discoveries that have come from federally funded research. We need the life sciences industry to support sound policies and investments in education and life science research. And I will make one further request, as I come back to the question of funding "the gap," to help innovations move beyond the bench. The need for financing is absolutely critical. We need to help investors find new models for investing, perhaps smaller amounts of money in gap funding before setting up full-scale new companies. It is in the pharmaceutical industry's own interest to help develop new models, lest the system of drug development and discovery falters at this crucial point. I realize that the financial markets' relentless focus on near-term results makes this a major challenge. But it is one that all of us together must figure out how to solve. Funding for the basic research that fuels innovation is declining in real dollars. Universities, academic medical centers, and other research organizations need to develop new paradigms of collaboration and cooperation to supplant disciplinary silos and institutional isolationism. And, most of all, we need new business models that support innovation at the most critical juncture in the path from bench to bedside—the transition from the university lab to the corporate lab. At the same time, I am fundamentally optimistic about what lies ahead. We share a common goal of improving human health and wellbeing. And we have at hand extraordinarily powerful new tools. Surely we will find a way to use them for the common good. So I remain hopeful that we will move forward together, bringing the combined knowledge and resources of the public sector, the academy, and the market to bear on the problems of disease. The opportunities before us – to transform medicine, by harnessing the convergence of the life sciences and engineering – are simply too important to pass up.